In solidarity against the Manchester Arena bombings, scholars within the Islamic community have come together to retrace the trajectory of Islamic heritage by educating people on the rich, diverse culture of Islam. Art, Culture & Science of Islamic Civilizations was a talk carried out by an expert scholarly panel, outlining key Islamic individuals that enabled the development of society as we know it. This highlighted in my mind that the term ‘Islam’ has come to define a group of people rather than a faith practiced by individuals. By revising and teaching the forgotten history of Islam, as central proponents of global social development, it also highlighted the conflict that Muslims face in fighting a daily battle against negative stereotypes of their faith. Indeed, living in a context where Islam is often associated within a negative framework, it felt refreshing to gain knowledge of such a plentiful history, which, I’d argue, most people are unaware of. The hour and a half talk felt lecture-like, frequently communicating with the audience in an informal fashion; and assisted by a British Sign Language translator to the left of the stage. Dr. Ibrahim opened with the pivotal role the Muslim world played in the Silk Route as makers and traders of silk to the Western world. 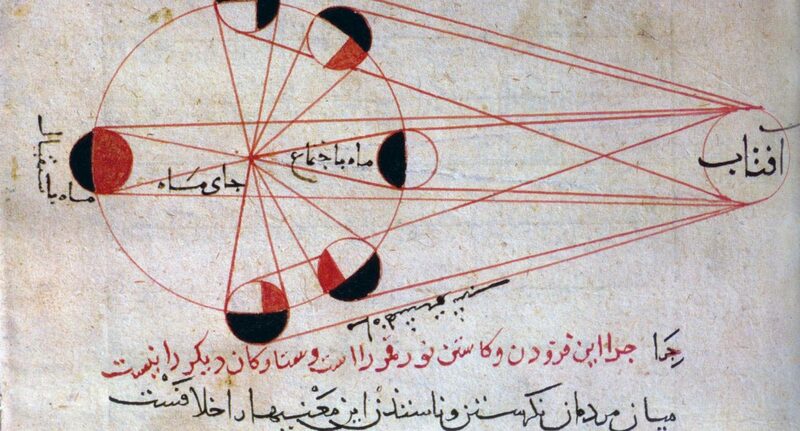 With a fond admiration of eleventh century thinkers, Dr. Ibrahim also explored the diversity in scientists and astrologists, such as Al-Biruni, who through detailed writings and drawings, was the first man to discover what created a solar eclipse. Dr. Zohor Idrisi began her journey in Morocco tracing the influence Muslims had in agriculture and astronomy as pioneers of crop cultivation in rice, sugar cane, and citrus fruits (to name a few). As the Middle East were central traders globally, Idrisi’s concluding line remarked the irony of the American citrus industry as the largest and wealthiest in the world. Aiming to ‘spread honey, not hate‘, Amir Arshad, the event organizer was also thrilled by the diversity in Islamic cultures showcased at MACFEST. Along the inside of the venue, vibrant tables displaying goods from Bosnian, Pakistani, North African and Syrian cultures, oozed a unique character and identity, whilst all sharing a strong Islamic heritage. As informative as the panel was, I was unsure whether the venue was suitable for such a talk. The vibrancy of the tables felt to deter the audience’s attention away from the panelists. It was a struggle, at times, to get complete silence in the room which was unfortunate. While the manpower behind MACFEST is undoubtedly strong, I wonder whether the festival can really serve its purpose in a venue that is used largely for Islamic functions. As a talk that came from professors, I’d like to see this showcased in a university setting to attract a diverse range of individuals to become informed on wider Islamic history and culture, which subsequently influences endless disciplines. Dr. Salim Ayduz’s closed the talk with a quote from Prince Charles, who remarked “the debt our own culture and civilisation owe to the Islamic world“. Indeed, all individuals would benefit from such a talk in order to deepen an understanding of today’s civilisation that is owed, in many ways, to Islamic culture.